The account-wide settings are the default settings for an entire Service Desk account, which includes all of the services (and their records) that are on the account. Administrators can manage the account-wide settings for account information, contact details, custom fields, notifications, triggers, labs features and more. Some of these settings (such as custom fields and triggers) can also be overridden on a per-service basis. Account-Wide Settings can be accessed at Configure > Account-Wide Settings. Note: These features are available to account administrators only. Default Timezone – This sets the default timezone for all users (this can be overridden on a per-service basis under Configure > Services). Conversation history in internal emails – This specifies how much of a record's conversation history is included in the emails that are sent to the internal watchlist (e.g., all comments, last 3 comments). Conversation history in customer-facing emails – This specifies how much of a record's conversation history is included in the emails that are sent to the customer. Hidden comments are never included. Notify customer when users reply via email – This automatically selects the check box that sends an email notification to the customer when an agent replies via email to an incident that is marked as "Show in Portal." Enable External CC – This feature allows email addresses to be added to the watchlist (which essentially creates the ability to CC external individuals who are not users or customers), which enables them to add comments via email replies. This applies to incidents only. Ignore "Out of Office" emails – This prevents emails containing the words "Out of Office" from being logged within Service Desk. Hide SLA updates from customer facing communications – This prevents information about changes to priority levels and due dates from appearing in customer-facing communications. Always notify assignee of updates – This ensures that an email is always sent to the assignee notifying them of updates to their assigned records, regardless of whether the record's "Notify watchlisted" setting is checked or not when updates are made. Go to Configure > Account-Wide Settings > Custom Fields tab to create custom fields for incidents, problems, changes, releases and knowledge articles on an account-wide basis. See Add Custom Fields for more information about custom fields and about adding them on a per-service basis (rather than an account-wide basis). Specifying non-working days (i.e., days when no progress can made to an incident) for incidents allows company holidays to be factored in when SLA calculations are made. Add as many non-working dates as needed to suit the organization, as these will be applied on an account-wide basis where the priority level excludes non-working days. 1. First, enable the use of non-working days for each incident priority level on a per-service basis under Configure> Services > [select service] > Incident > Priorities & SLA Settings. 2. Go to Configure > Account-Wide Settings > Non-Working Days tab. 3. Use the calendar tool to select company holidays. Click Add Another to add additional non-working days, and use the Delete icon to remove them. Triggers (i.e., alerts) enable you to create specific criteria about what set of events will trigger a specified action, which allows them to create basic, automated workflows and routing. Triggers can be set up to interact with incidents, problems, changes, releases and knowledge articles. You can use triggers to help align Service Desk with the way your business works (rather than the other way round). If you need certain things to happen at certain stages and Service Desk's out-of-the-box configurations doesn't meet those needs, you can create triggers to create the configuration you need. Triggers can be created for any record or knowledge article, and they can be created on a per-service and/or account-wide basis. Go to Configure > Account-Wide Settings > Triggers tab to create triggers for incidents, problems, changes, releases and knowledge articles on an account-wide basis. See Set Up Triggers for more information about triggers and about adding them on a per-service basis. The account contact is considered the account owner. 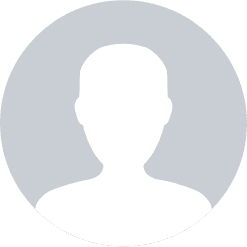 This person is the main contact for all non-billing inquiries (billing inquiries are directed to the individual listed under Configure > My Account > Personal Info). For example, if the IT Department of a company uses Service Desk to manage their IT infrastructure, they may wish to designate a member of the IT team to be the Account Contact for all technical needs, while a member of the Purchases team might be the billing contact listed under My Account. 1. Go to Configure > Account-Wide Settings > Contact tab. 2. Select the account owner from the drop-down menu. 3. Enter an email address where rejected (i.e., bounced) emails should be redirected. The account email address will be used by default if this field is blank. If you use Slack as your chat client, you can set up an integration with Slack that allows you to create trigger(s) within Service Desk to notify your Slack channel when conditions of your trigger(s) are met. The API token is used to integrate the account with the Service Desk API. To display your account's API token, click View API Token. Service Desk offers a few beta features (known as "labs" features) that account administrators can turn on and off for the entire account, which enables users to try out new and in-development features in their "as is" state. In addition, the page allows account administrators to opt-in to potential upcoming features, which allows the Service Desk development team to gauge interest in possible new features before devoting time to their development (e.g., customizable report columns, discussions hosted on a separate comments tab, etc.). See Enable Beta Features (Labs) for more information about the available labs features.